Hint here - this recipe is not going to be much different than the Stuffed Mushrooms recipe. Making this the same night gave me the same base stuffing for the ingredients, with very few adaptations. 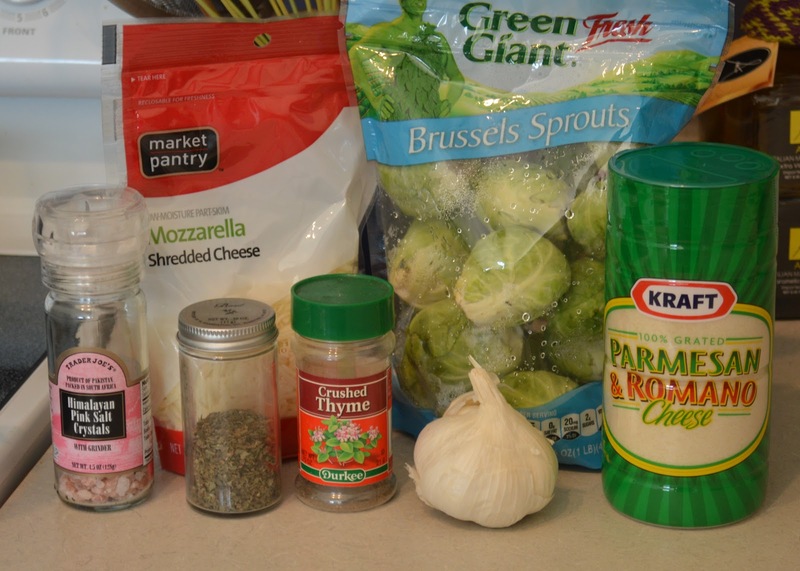 One thing I have realized lately is that I would post a recipe almost every week on a Brussel Sprout recipe. I think they are great to cook with, have wonderful flavor and they are great for you. I won't post something every week - I wouldn't do that to everyone, but expect more in the future because I'm not done creating with those little guys. This recipe does have a few steps and will take a little extra time between the trimming, blanching, coring and stuffing. My advice is have another set of hands in the kitchen and have a glass of wine to chat while doing all of those things together. I would have to say that the best part of the meal is the company and sitting outside to enjoy a very refreshing dinner. The recipe can make quite a few when the neighbors across the street asked what we were making and they got to sample a few. All in all, a perfect May evening. Preheat your grill or oven to 400 degrees. Begin sauteing the diced onion over medium heat sweating them out until they are translucent and slightly caramelized. Add minced garlic and cook slightly for a few minutes. Remove from the heat and let cool. Bring a large pot of water to boil on the stove. While heating up, trim the base off the Brussel sprouts and cut them in half. Place all in colander and rinse off. When water is boiling, blanch the Brussel sprouts for approximately two minutes. Remove from hot water and either place under cold running water or put in a bowl of cold water to stop from cooking. When the sprouts have cooled slightly, using a melon-baller, core out the middle of the sprout halves. Combine the remainder of the garlic, onion, bread crumbs, mozzarella cheese, Parmesan cheese, milk, basil, thyme, fresh cracked salt and pepper in a bowl until mixed well. Using a heavy hand, stuff the top of each Brussels sprout half. Using a foil lined grill pan, place on grill and cook, rotating a few times for even heat, for approx 15 minutes. Try to keep the lid on the grill closed as much as possible - this will allow for a shorter cook time. The panko and cheese should be a nice golden brown. Serve with balsamic reduction sauce or straight up.